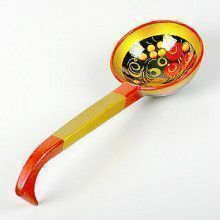 This authentic Khokhloma (Hohloma) soup spoon set was handmade and imported from Russia. 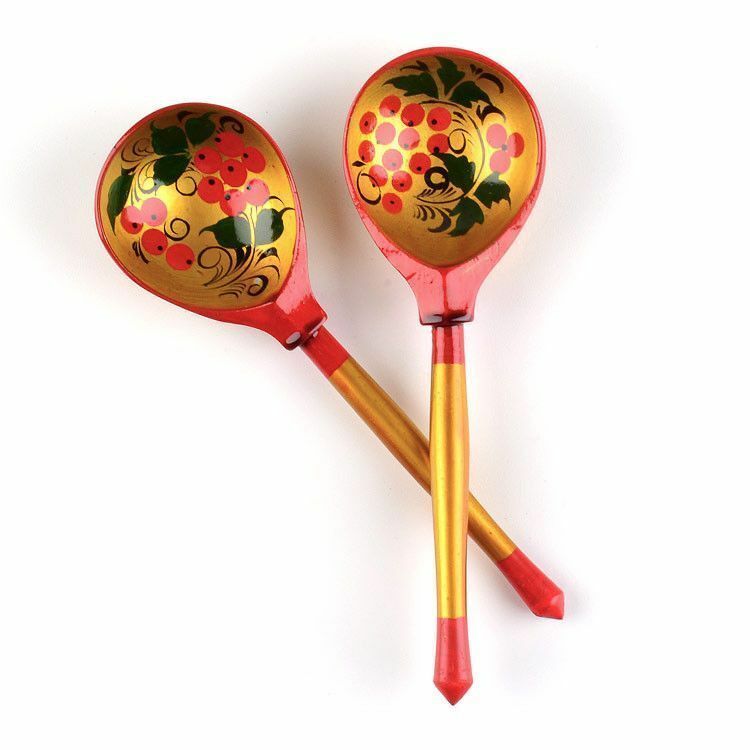 Each spoon is about 7 1/2" long and features red berries with dark leaves, against a shiny golden background. 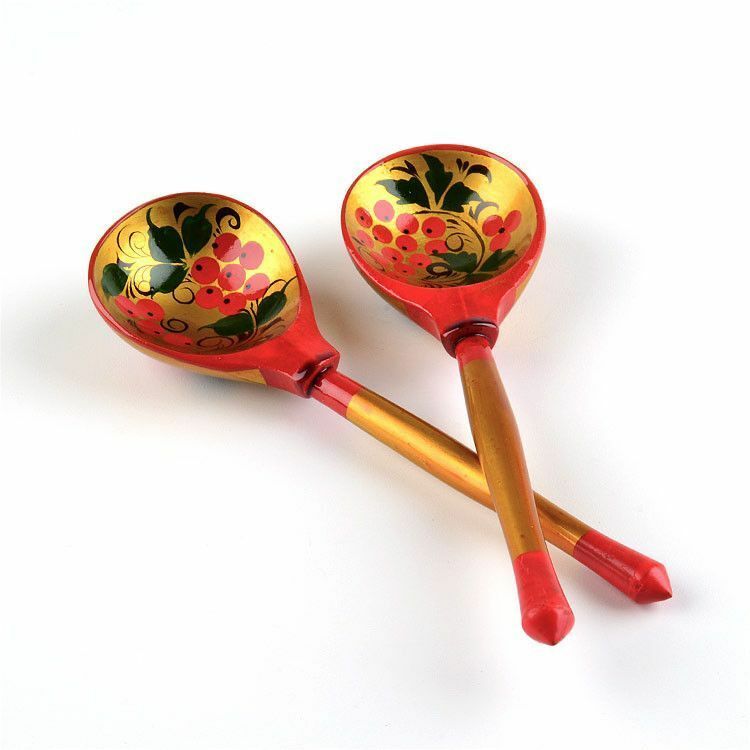 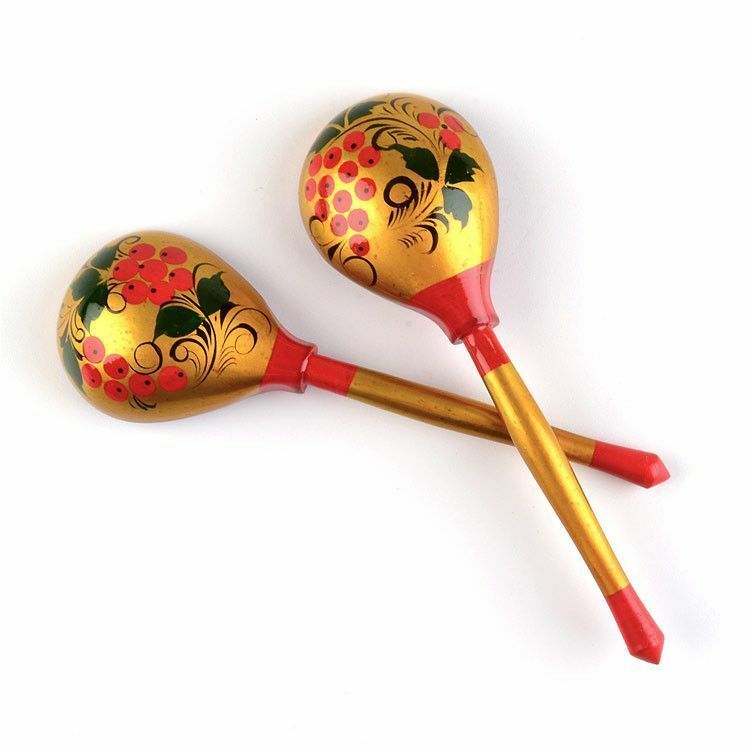 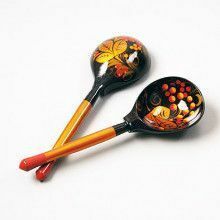 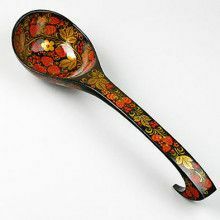 These Russian spoons are beautiful and practical, making them great gifts for all sorts of occasions.